100 cartoon animals in this fun and colorful book by Christopher Hart, the world's bestselling author of how-to-draw books. 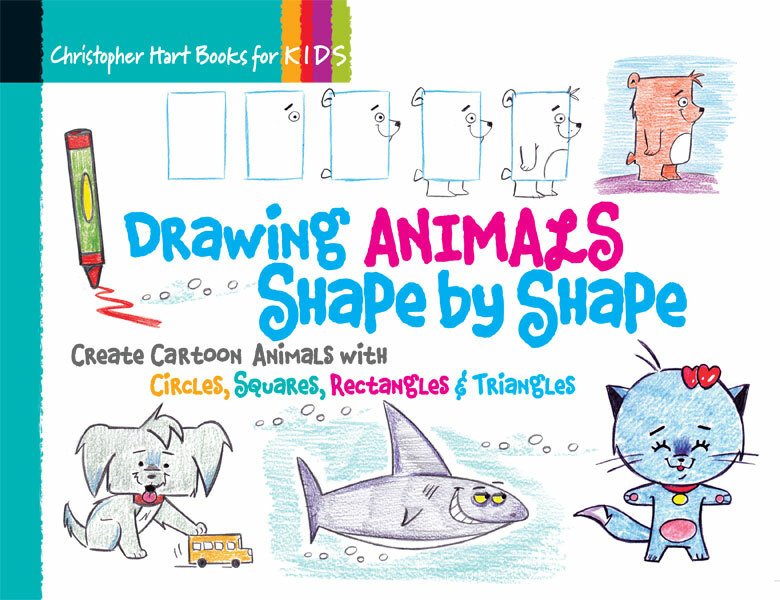 In this follow-up to the popular book Drawing Shape by Shape, kids and adults alike will learn how to draw a wide variety of animals, from common dogs and cats to safari animals, sea creatures, birds, bugs, reptiles, dinosaurs and much more. With step-by-step instructions and a colorful collection of cartoon creatures, drawing animals is as easy as it is fun!